Agnieszka Ogorek, MSA, CPA, Senior Tax Accountant – McCormick Tax Group LLC. Agnieszka has tax and accounting experience across a number of industries and tax types. Her areas of expertise include partnership and individual taxation, as well as multi-state taxation issues. She has participated in engagements for a wide variety of clientele including not-for-profit, manufacturing, real estate, and property management companies. She graduated from DePaul University with a Bachelor’s of Science in Accounting and Finance and Depaul University a Master’s of Science in Taxation. 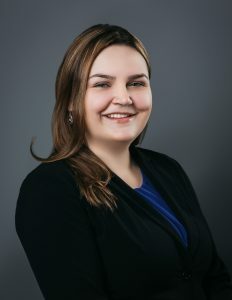 Agnieszka is a licensed Certified Public Accountant in Illinois and a member of the American Institute of Certified Public Accountants and the Illinois CPA Society. She is fluent in Polish.